doug: This week at Douglas College: Student Research Day, jazz concert and more! 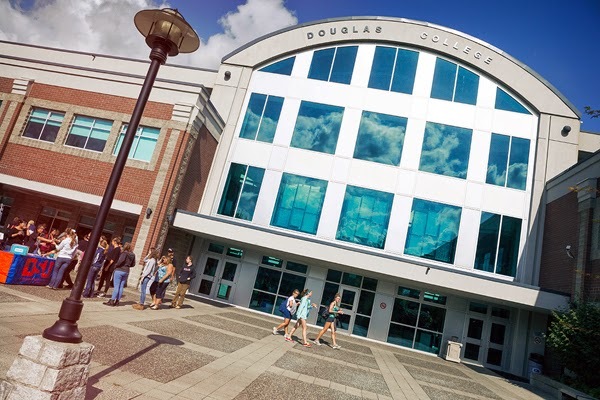 This week at Douglas College: Student Research Day, jazz concert and more! Student Research Day features more than 100 student projects on various topics across every College Faculty. The Music Department presents An Evening of Jazz, featuring the Douglas College Night Band and Dues Band. Directed by Blair Fisher and John Van Deursen. General admission $10, $5 seniors, students free. Tickets at the door. The second session in a two-part series about energy and agriculture, Sowing the Seeds of Sustainability focuses on student research and a panel discussion. Free and open to the public. Lydia Amir, PhD, explores philosophical and religious ideas about humor in modern philosophy and their secular implications. Arts at One presents our Winter 2015 Student Showcase concert series. Come out and support our talented student musicians. Free and open to all.